Serious tea drinkers need a reliable teapot that they can brew sublime tea in every time. 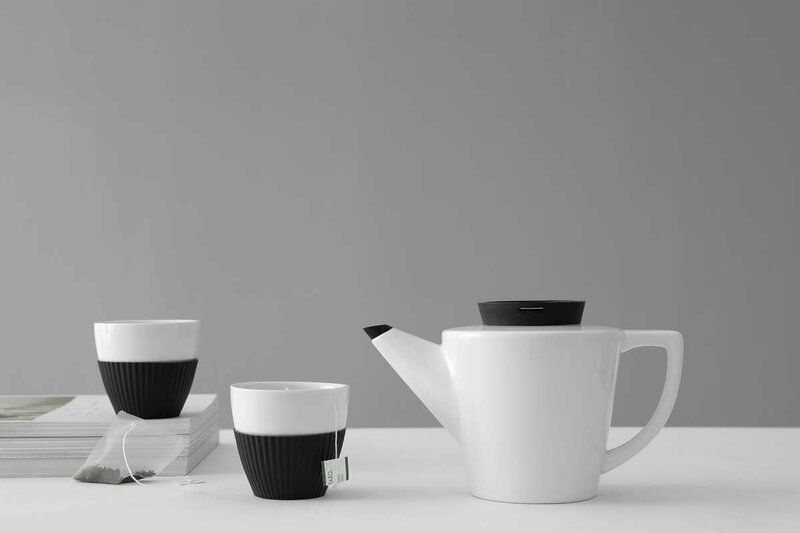 Our Infusion Porcelain Teapot is here to fill that role. 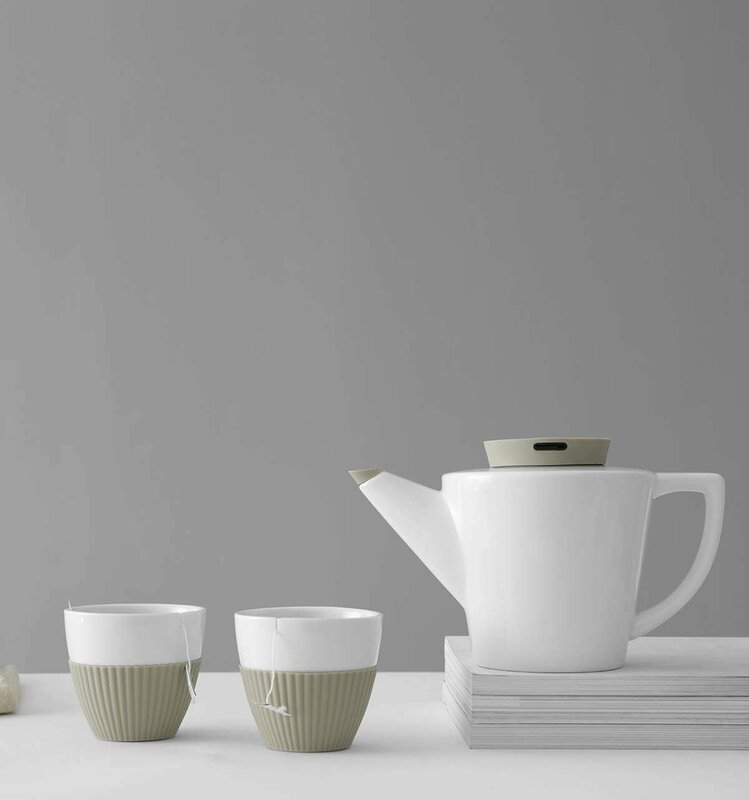 Now in a set with two of our contemporary Anytime Tea Cups. Find out why the world loves Scandinavian design! Size: Vol: 1.2 & 0.3 L / 40.5 & 10.0 fl. oz. Porcelain is a classic material often used for teapots and mugs. It’s a beautiful and has a natural earthiness that is unlike any other material. Just like our glass version, this design comes complete with our unique non-drip spout. People tend to know a good thing when they’re onto it. It’s in human nature to recognise beauty and excellence throughout life. We’ve done just that by reimagining our best selling Infusion teapot. We now present to you this comforting porcelain version. No colour combination is more classic than black and white. Enjoy the contrast of this two-tone colour palette as it makes a humble statement at your table. The Infusion Porcelain Teapot is the ideal companion for afternoons spent with family or evenings catching up with friends. Does the silicone affect the flavour of the tea? Our specially designed Istoflec silicone used in the Infusion teapot is some of the highest grade available on the market. Our silicone is premium food-grade which is 100% food safe and BPA free. It absolutely does not affect the flavour or quality of the tea. Do the cups get hot? Silicone is an excellent insulator, like the teapot, the silicone used on our cups is our premium Istoflec. It helps keep the cups at a comfortable temperature, even when full of delicious hot tea. Does this teapot come with a strainer? Yes! All our teapots come with a fine mesh infuser made from our own Immacular stainless steel for perfect tea brewing every time. We experimented with several hole sizes and patterns to find the ideal stainless steel mesh for brewing sublime cups of tea. How heavy is the teapot? This teapot weighs just over 700 grams (25 oz), or around 2kg (70 oz) when full of tea. The large handle makes it easy to grip and pour, even when full. The pronounced spout means you can also support the teapot from beneath the spout using an oven mitt using both hands if required. This is an ideal teapot for those with limited mobility or arthritis who don’t want to compromise on great cups of tea. Does the tea stay hot? 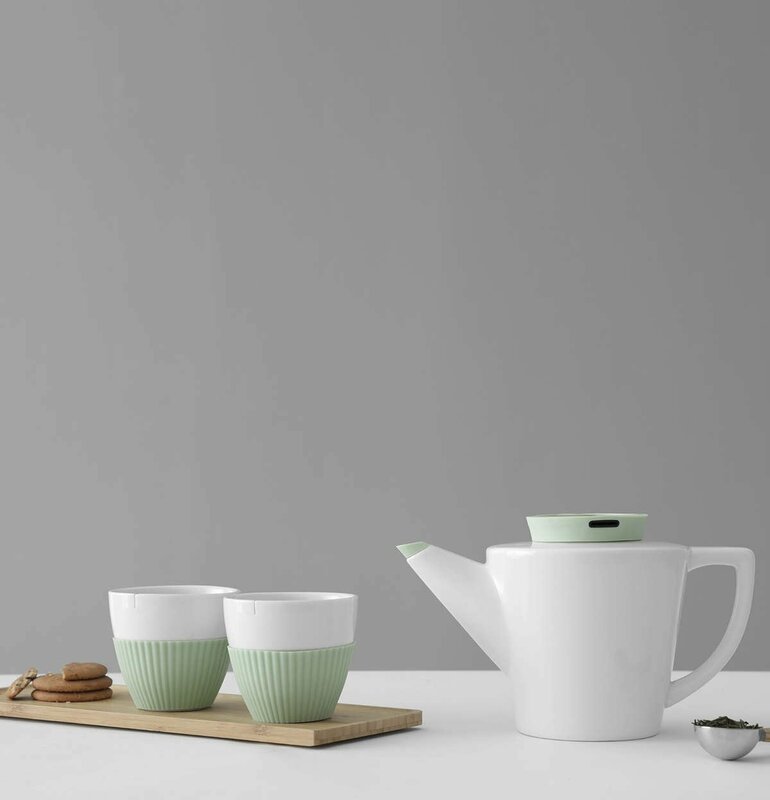 Because both porcelain and silicone are excellent insulators and will keep your tea hot and fresh. The silicone lid forms a good seal against the body of the teapot to keep the heat in and keeping it in place while pouring.